Link has his work cut out for him in the new Zelda. That’s not the only new addition. Link can sprint but he can also jump, allowing him to climb up trees and up the sides of cliffs. This allows for a greater degree of traversal than ever before. 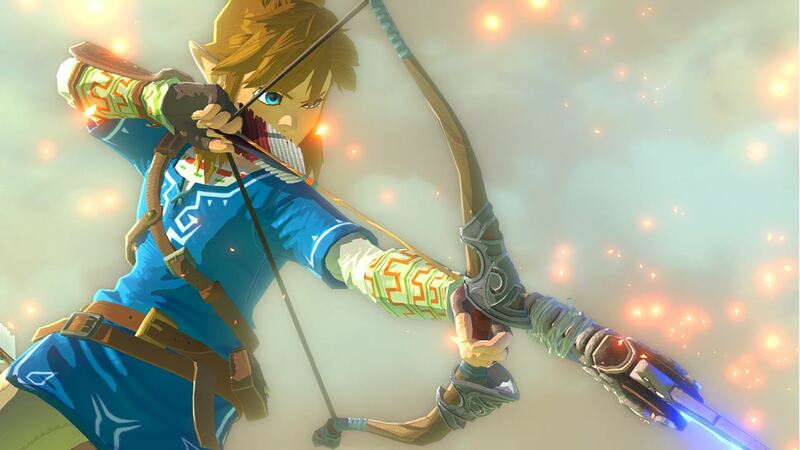 A special note on the name: “Breath of the Wild” was actually chosen to represent the game’s world. Previous Zelda titles had core items as the subtitles for the game but Breath of the Wild wants to emphasize the setting above all. Right off the bat, Link begins exploring the world and picks up a tree branch for use as a weapon. Later he’ll acquire a Woodcutter’s Axe for knocking down trees to acquire apples, cutting wood for firewood and much more. A rusty broadsword, a red herring of sorts that looked like the Master Sword, is also acquired eventually. Stay tuned for more information on the game as it’s revealed.